In September of 2008, the much-awaited Spore was released. A computer game for both Mac and PC, it allows the player to create an organism from the microbe stage, and gradually grow it and evolve it into a more complex creature, then take it up through the tribal and civilization stages of technological development, and eventually into space. Arguably, most of these earlier stages could be seen as training and development leading up to space, since the Space Phase is a large "sand-box" sort of game, giving the player an enormous galaxy to explore or conquer. The game has been met with mixed reactions on the forums, but good overall reviews. Personally, I've been having a blast with it, but I also see some shortcomings that I hope will be improved over time with patches and expansions. However, I wanted to gather some of the tips and tricks I've discovered, through my own efforts or by reading on the forums. Don't expand too fast. You get quests telling you to go out and meet aliens right away. You don't need to do it immediately. Take your time, and build up some cash. Don't get any alliances started until you have several colonies and a good cash flow. Why? Because they might be at war with someone else who will declare war on you as soon as you make an alliance. If an alien race demands a ransom, and you say no, they'll get mad. Usually once is not enough to make them go to war, however, so once you know this is what they're doing, don't click to recieve any transmissions from them. They have no other reason to contact you if they're not your friend, and they only get mad when you reply. Eventually the message icon goes away. Pink, Purple, and Green spices are the ones you really want. Blue is pretty good to. If you can, colonize worlds with those spices and don't get so many that have just red or yellow spice. Red is the least profitable. Terraforming planets to T3 is very valuable. It allows you to build complete colonies, and put three of them on the planet. With this level you can make the colonies deliver 120 units per hour and still have defense turrets. Yes, the building layout to get 120 can be tricky. I may add an example screenshot later. You can get even higher output, but only with negative happiness scores for the colonists. You can get to 120 with a +2 happiness. Don't start more than one war at a time. If you're fighting one, ignore your other neighbors, and focus on defeating the one you're fighting. You need to be in control, not them. So focus on defeating this enemy, and ignore any attacks going on against your worlds. Defeating a hostile race is actually easy. Once you have the "bomb" weapons (even the "mini bomb"), all you need to do is fly from city to city, and pause for a moment over each one to drop a few. Stay away from the fighters, and keep doing this until the "capture system" button lights up at the top of the screen. Defeating the enemy fighter craft is easy. You won't really need to do this when on offense, but defending your worlds against pirates and aliens is straightforward. You can use the proton missiles, and fly in circles around the fighters. Dodging incoming fire from them, and even missiles from enemy bases if you're on an enemy planet, actually works very well since you're so much faster. If you're not hitting your targets, you may be at the wrong altitude. Once you have your target selected, you don't need to click on him. Click anywhere else in the screen to fire (or select a new target if that's what you click on). Careful not to target friendlies! 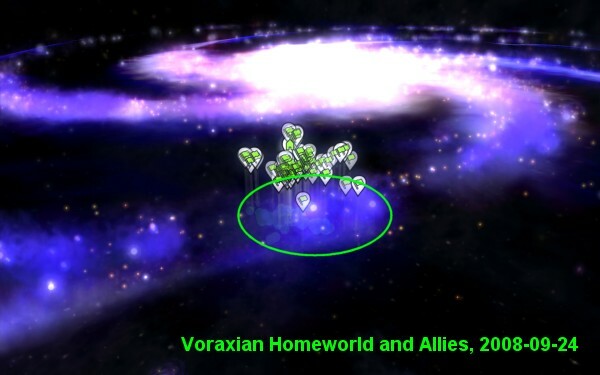 One of the big "goals" of the game is to get to the center of the galaxy. This is entirely optional. But before you go, you'll be given a quest to go meet the "Grox" who live in that region. While this one is actually a quest, it too is optional. Important note-- Once you visit the Grox, there's no going back. They'll be your enemy, and will periodically raid your colonies. While not initially hostile, they'll be at war with you by the time you get home. It's possible (though difficult) to befriend them, but doing so puts you at war with the rest of the galaxy. Defeating them isn't really an option either since they own thousands of worlds (basically the entire galactic bulge). Note though, that they can only live on T0 planets (uninhabitable to everyone else), so by terraforming worlds, you can kick them off planets and take them for yourself. When you choose to go to the center of the galaxy, there are some things to keep in mind. Some people try to colonize their way in. I did the "make a run for it" tactic. Basically, you need to stockpile 20 or more health packs, and probably as many energy packs as well. When you get into Grox territory, you don't want to sit still at all because their ships will rip you up. You need to keep moving. However, you also need	to stop and look for paths to take, so the pause key ("P") is your friend! This region of space will reduce the distance you can fly between stars, and the area is like a maze with many dead ends. You'll have to backtrack at least once or twice, to find a route into the center. I see many areas for improvements in the game. This is a list of several of them, that I'd like to see in a future patch and/or expansion. It's mostly for me to keep track of them. Option to select the color I want to represent my empire in the galactic map. Ability to purchase fleet ships in my empire, and to assign them automated duties, such as spice transport/sale or defense of a star system. They can be very expensive (10M to 20M perhaps?). It'll give me something to spend large amounts of cash on, while expanding the empire and reducing the micromanaging! More explorations objectives in space. I've visited Steve, and found Earth. Storybook worlds and the like are interesting, but not compelling enough to go out looking for them. Colony planner should remember the types of building and vehicles I selected last time, so that I only need to select them if I want to do something different. Colony layout presets-- three to five of them. That way I can define a few colony layouts that I use as standards, and assuming I have the money to reconfigure the colony to that layout, I'd only have to press one button. I use the same plan over and over, and since there are 11 buildings and 8 turrets each, a colony takes a minimum of 19 click-and-drags (more if you miss and sell-back the item), and with three per planet, that's 57 click-and-drags too many. Ability to re-arrange cargo and tool icons in space phase. This one seems like it should be a no-brainer! More robust creature phase... 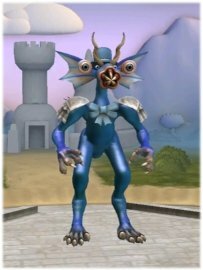 I'd love to have the creature morphology and physics system that was demoed several years ago. But I'd settle for something that feels more like a living ecology, and not just a bunch of nests I have to walk around to sequentially. A city phase between the Tribal and Civilization phases. I want to grow my village up into a city by developing agriculture and technology. Flora editor! I want to make and share plants, just like the creatures. Since a partially functional version is hidden in the game, I suspect this will be in the first expansion. Ability to import similar vehicles/buildings into the editor to make new variants. Example-- I want to make an economic boat that is identical to my military one, save for the "weapons". Right now, I have to start from scratch. I want to pull the existing one into the editor, minus the weapons. Much better "event log" that lets you see things that pertain to you (not your buddies), and lets you see what's been happening with your creations. More robust Sporepedia features-- specifically a persistent event log for each creation, showing when it's been used, pollinated, killed, epic-sized, etc. Sporepedia buddy-list manager. I want to see my list (not just in the side-scroller we have now) along side a list of everyone who has buddied me. This could even be expanded into a "six degrees" sort of thing, not unlike LinkedIn or something like that. In today's Facebook/Twitter/MySpace generation, the absense of this is a real oversight. In-game access to the above sporepedia features, as well as an in-game messaging system. I want to be able to click on a creature, and send the creator a message (not just leave a comment), and have a mailbox I can look at. History-graph access to the sporepedia. I want to be able to click on something far back in my history to view it in the sporepedia... not memorize its name to search the sporepedia in a separate view.